Comparing the 11 Avios credit cards that can earn you points! What is the best Avios credit card? With the Lloyds Avios Rewards credit card now closed to new applicants, I wanted to take another look at the other remaining options for earning Avios points from a UK credit card and suggest your best strategy. All of these cards add a 3% foreign exchange fee, so you might want to get a separate free credit card to use abroad. Unfortunately there are no travel rewards card without a foreign exchange fee. One option is to get a free Curve Card – see this HFP article – and link it to a miles-earning Visa or Mastercard. What are my options for an Avios credit card? There are now 11 UK credit or charge cards which earn Avios points at a rate of at least 1 Avios per £1 on an American Express card or 0.2 Avios per £1 on a Mastercard or Visa. Frankly, it would be madness to try to do a comparison chart so instead I want to pick out the key reasons for getting each of the cards – if there is a key reason! British Airways Premium Plus American Express – the No 1 attraction is the 2-4-1 voucher that you receive for spending £10,000 each year. This is valid on Avios redemptions in ALL classes and saves you, for eg, 150,000 Avios on two Club World peak day tickets to San Francisco. Coupled with a high earnings rate, all serious Avios collectors should have one of these. American Express Preferred Rewards Gold – this card offers the most generous sign-up bonus for a free card. You receive 10,000 Amex points for signing up (=10,000 Avios) and there is no fee for Year 1 (£140 thereafter). You also receive two Lounge Club airport lounge passes among other benefits. This is the best Amex card for beginners to the miles and points hobby. Tesco Clubcard Mastercard – this earns 0.3 Avios per £1 if you convert your Clubcard vouchers into Avios. This makes it the best free Visa or Mastercard for earning Avios for 95% of people (the HSBC Premier cards are better but this has very strict criteria for signing up). There is also the potential to use the points for Virgin miles or a totally different Clubcard Boost deal such as Uber credit. That said, 0.3 Avios per £1 is still not great unless you assume that there will be occasional conversion bonuses – and the nasty ’rounding down per transaction to nearest £8′ rule means that you will get less than 0.3 Avios in reality. Full details are here. HSBC Premier World Elite Mastercard – as this article explains, this is an excellent product if you earn enough to qualify for HSBC Premier. The high annual fee is offset, at least in Year 1, by a 40,000 Avios points sign-up bonus and 1 Avios per £1 spent. The card also comes with airport lounge access via LoungeKey. Similarly, the free HSBC Premier Mastercard is great – you earn 0.5 Avios per £1 on the Mastercard – but meeting the eligibility criteria is tough. British Airways American Express – the free BA Amex has a decent (for a free card) rate of 1 Avios per £1. However, do not get this card if you are planning to spend the £20,000 required to earn the 2-4-1 voucher – this article explains why the free BA American Express card can be a bad deal. The Platinum Card from American Express – you should seriously consider applying for this card. Don’t focus too much on the £450 fee, as it is refunded pro-rata if you cancel. Focus instead on the 30,000 Avios sign-up bonus, the Priority Pass for airline lounge access, Eurostar lounge access, the Marriott Bonvoy Gold card, Hilton Honors Gold, Shangri-La Jade, Melia Rewards Gold and the Radisson Rewards Gold cards. Many people find that they end up keeping the card despite their initial intentions because of the value of the travel insurance, lounge access and other perks. IHG Rewards Club Premium Mastercard – is it worth paying £99 per year for this card, earning 0.4 Avios per £1 (ie 2 IHG Rewards Club points), when the Tesco Mastercard is free and give 0.3 Avios? Potentially yes, because if you put £10,000 through the card you also get a free night at any IHG hotel potentially worth £250+. This covers all InterContinental, Crowne Plaza and Holiday Inn hotels globally. Cardholders also receive IHG Platinum status. The £99 fee for the first year is offset by the 20,000 IHG points you earn as a special sign-up bonus. Starwood SPG American Express – the day-to-day earnings rate of 3 points (= 1 Avios) per £1 isn’t bad and you get the flexibility to convert to 40+ different airlines as well, of course, as using your points for Marriott hotels. You also get an enhanced conversion rate of 1.25 Avios per £1 when you convert in chunks of 60,000 points. The sign-up bonus is 30,000 points, which converts to 10,000 Avios. The £75 annual fee is refunded pro-rata if you cancel. Amex Rewards Credit Card – as I explain in this article, the ARCC card is an excellent option if you already have a Preferred Rewards Gold or Platinum Amex card and want to cancel it to avoid the annual fee. Getting a free ARCC card will keep your Membership Rewards points alive and allow you to delay transferring them to an airline or hotel partner. IHG Rewards Club Mastercard – this card is OK if you want to earn IHG Rewards Club hotel points, but if your aim is to convert the points into Avios then you are better off with the free Tesco credit card (0.3 Avios per £1) than this one (0.2 Avios per £1). The only trade offs are that you get IHG Gold status for having the card and the points you earn also count towards your IHG status renewal. There is a sign-up bonus of 2,000 Avios (10,000 IHG points) but that should not influence your decision on the long term value of the card. 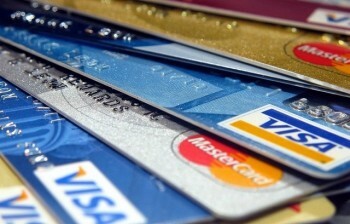 Don’t forget that our directory of all UK airline and hotel credit cards can be found here. PS. If you are a sole trader or run a small business, you may also want to check out the American Express Platinum Business Card and the American Express Gold Business Card. Interesting article, thanks. The mention in the replies about bonus points for supplementary card holders is news to me. (Thank you everyone for bringing these up.). I’ve always applied for one at the same time as applying for a card, mostly to enable us to easily and quickly hit the spend target. These supplementary bonuses aren’t insignificant. I didn’t know about the upgrade bonus from Gold to Plat either! I’ve clearly been missing a trick or two. Could we have an article on ways of getting additional bonuses, and on other cards too? Do you think the traditional route of gold (charge card) to platinum upgrade for 20,000 MR for £1,000 spend will eventually be removed? Given the launch of gold credit card recently.. I successfully upgraded my gold charge card to platinum, but nowhere on my account is showing the £1000 spend progress? should I be worried? If you downgrade the gold card is no longer free and you are charged the annual fee. You can’t apply for gold charge card any more so I doubt you can downgrade to it either. There is no progress bar to track spend when you upgrade. Thanks, Genghis. That link is behind a paywall. I C+P’ed the title into a new browser and was able to read the article. VM, the successor to Northern Rock, eh? Ain’t SRB doing well. Am thinking if we should swap from our current TSB Avios duo (free card) where we earn 1 avios per £1 on the Amex and 0.2 avios per £1 on the mastercard. We do most of our monthly spending on these cards – on the Amex as much as possible for the higher avios rate but since that is no longer functional on Apple Pay am now using the mastercard more regularly. We spend around £20,000 per year (usually £1500 minimum per month) on the cards as just personal stuff. We don’t use for foreign spending (Halifax Clarity for that) and we pay in full every month. We tend to redeem our Avios on short haul BA flights – usually EDI to London for connections to long haul flights or trips to London. The Amex Reward credit card looks appealing for the sign up bonus but am assuming that it is an Amex card when it would be easier to have a mastercard since not everywhere we use our current cards accepts Amex. The other obvious card for me is the free BA card but again it is an Amex! We have no reason to sign up to IHG or SPG credit cards as tend to stay in independent 5* hotels or small chain like COMO or Morgan Group. So now thinking that the best option is to stick with the TSB and grab one of the new Amex Rewards credit cards ( I recently closed my charge card which have had on and off) to get the 20,000 bonus sign up to boost our avios balance (and just juggle having the 2 cards for a bit). Any other thoughts? My recollection was that it is easy to move the AMEX reward points to BA and you get one avios per point. If you’re a high spender and are interested in collecting miles and points why on earth would you spend on the Lloyds MasterCard instead of the Amex just so you can use Apple pay? Is getting a card out of a pocket instead of a phone really not worth the extra 0.8 avios per pound? Why is it an assumption that the BAPP amex is of no real value to solo travellers? I use both BAPP and Lloyd’s. I get the fact the for the £7k spend you get a solo upgrade which is indeed valuable to a solo traveller. But after the first 6 months, the earning rate is 1.25 Avios per £ (reduced from 2.5 per £ in the 1st 6 months) and this card can’t be churned. The BAPP however has the 25,000k reward upon opening, increased to 26,000k (?) if refered. Yes there is a fee but you get a pro-rota refund. I would therefore suggest whilst the Lloyds Card is/was great for its reward voucher, the BAPP was just as important to get the Avios required to make a trip worthwhile having??? It’s worth getting the keep, for the bonus, but not for keeping long-term. The £195 isn’t justified if you can’t use the 241. Indeed, but from a churn rate it’s amazing…. =30,500 Avios as a cost of £32.50!!! O/Tish but wondering what card to get next. I’ll have had my Amex Gold rewards card for a year in July. I’ve diverted as much spending as possible into it but still a long way off the anniversary bonus. I’d say I spend around £500/month on Amex on average. I’ve had a mailing through about the 5k bonus on the gold ‘companion’ credit card if I spend £500 in three months. Which should be easy to spend if I diverted some of my gold rewards spending. Yes, in your circumstance I would do something like that too. I used to have the Gold charge card but decided instead of trying to reach the anniversary spend (which we could have done), it made more sense to upgrade to Platinum for the 20k bonus points (i’m keeping platinum long term anyway) and then churn other cards in conjunction with my partner – who I referred for a Gold Card before I upgraded. Why didn’t you refer after you upgraded? You would have got 18000 referer points rather than the 9000 you did get. I have hit spending limit for bonuses on BA card I no longer will be using the card as its in Mums name and she can’t travel any more so the 2 4 1 voucher is pointless.my question is what is an acceptable time before I cancel card. I have cleared the balance and just waiting for points to post to my executive club account? I know I have to wait 6 months before applying again. Have you been referred for another card eg Gold to be using in the meantime? Sorry if this has been asked before. I cant find this answer on hfp or anywhere else. I’ve never done it but many have reported success. Note b is 26k if referred. Correct on both points. But you still have to pay Apd and ba charges on all 4 tickets. Avios needed for one pax only in each 241. It’s the way you worded it!